Okay! 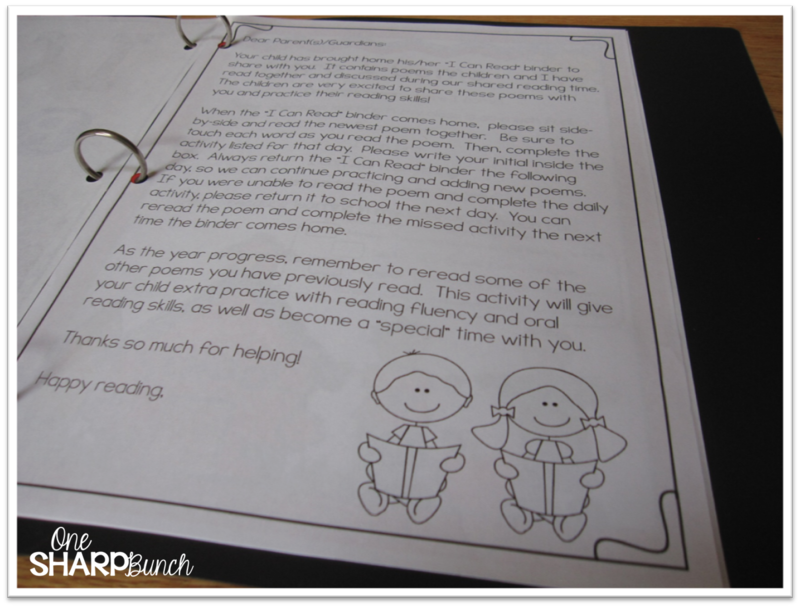 I promised I would be back today to blog about my “I Can Read” poetry binders, so here I go! As you may have read yesterday, I spent the last five days compiling all of the poems my team uses for shared reading. 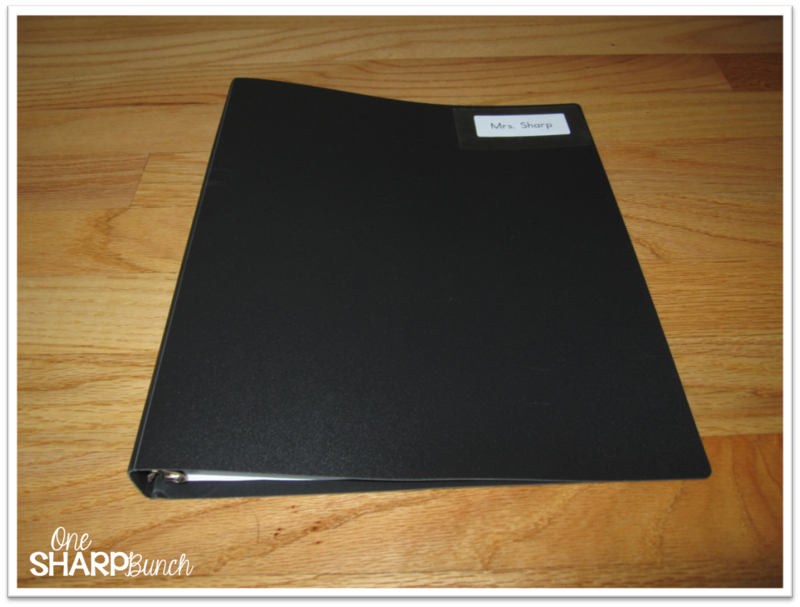 I wanted to create something simple and neat that could be used with my IWB and didn’t require gluing into a notebook. It sounded like a simple task, until I got started! And this is only two poems from the August/September packet! 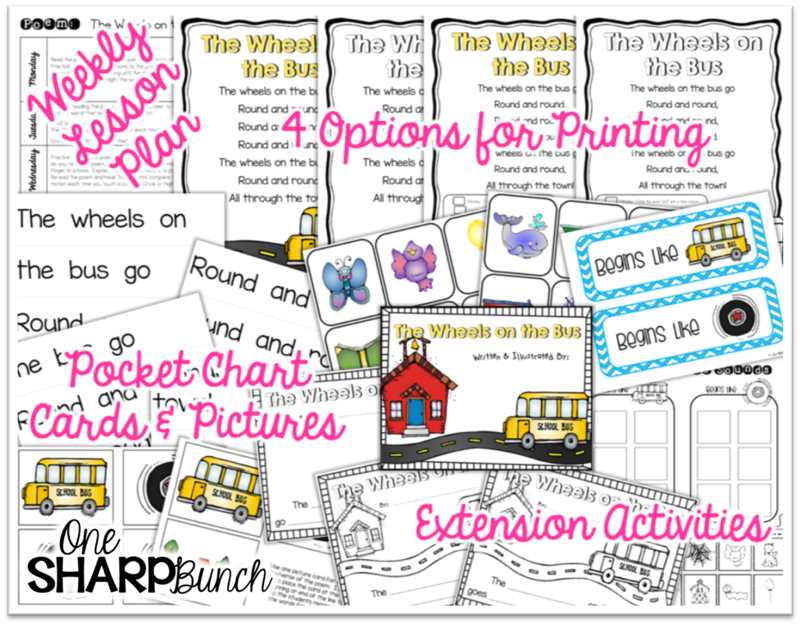 Each poem includes a weekly lesson, four options for printing (color, bw, color with homework, and bw with homework), pocket chart cards with pictures, and extension activities. There is so much to keep you, the kiddos, and the poem going strong all week long! 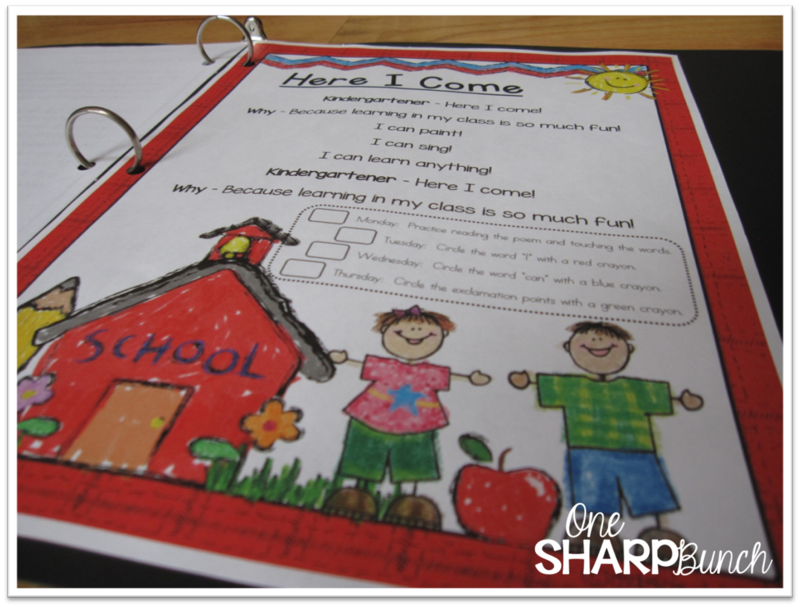 Inside the binder, I place the “I Can Read” cover, as shown above. I laminate these for durability, or place them inside a sleeve protector. Next, comes the parent note explaining how to use the “I Can Read” binder. 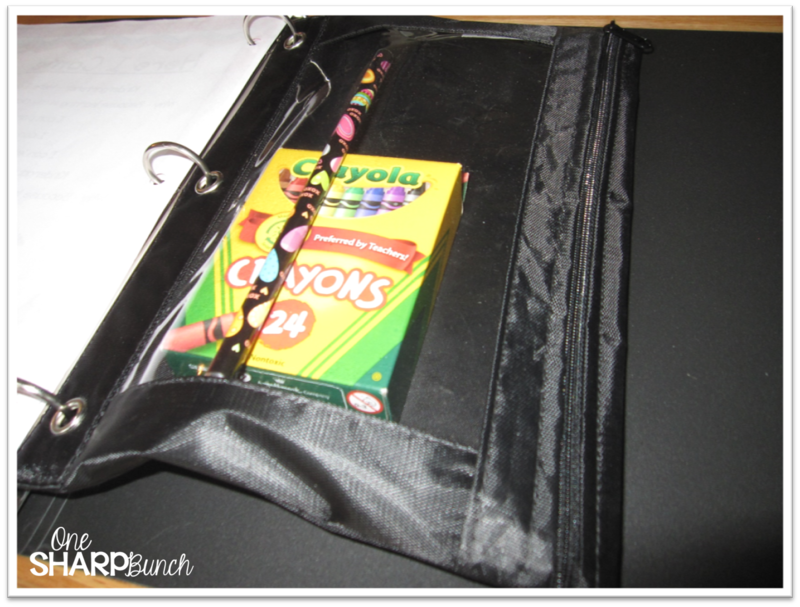 At the very back of the binder, each student has a zippered pouch containing an 8 pack of crayons, a couple pencils and an eraser. I’ve found that having these supplies inside the binder ensures that every student has the appropriate colors to complete the homework. I teach the students that these supplies must remain inside the zippered pouch! 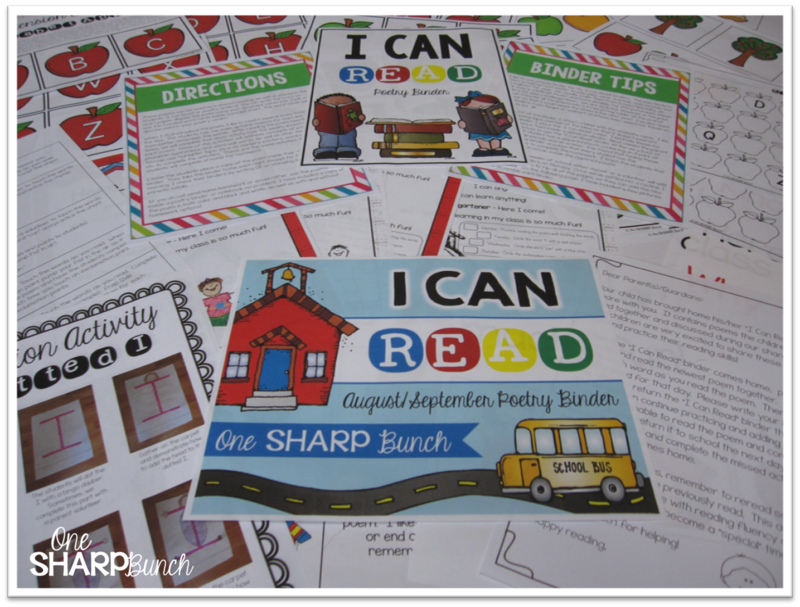 These poems can be used as a shared reading, as well as placed in the students’ “I Can Read” or poetry binders! You can write the lyrics on chart paper, display the poem using your document camera or IWB, or use the included word cards inside a pocket chart. The word cards can also be used in your poetry center! 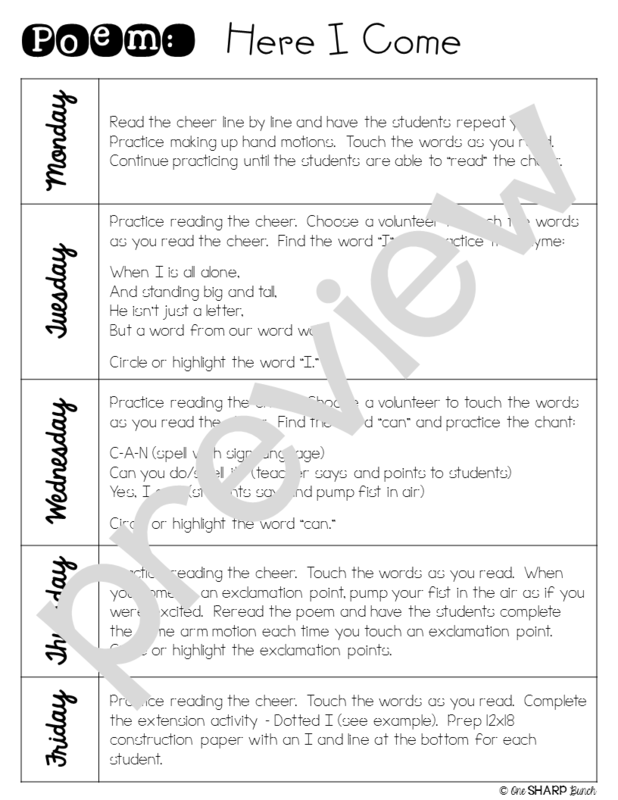 Plus, I’ve included a weekly lesson plan for every poem! 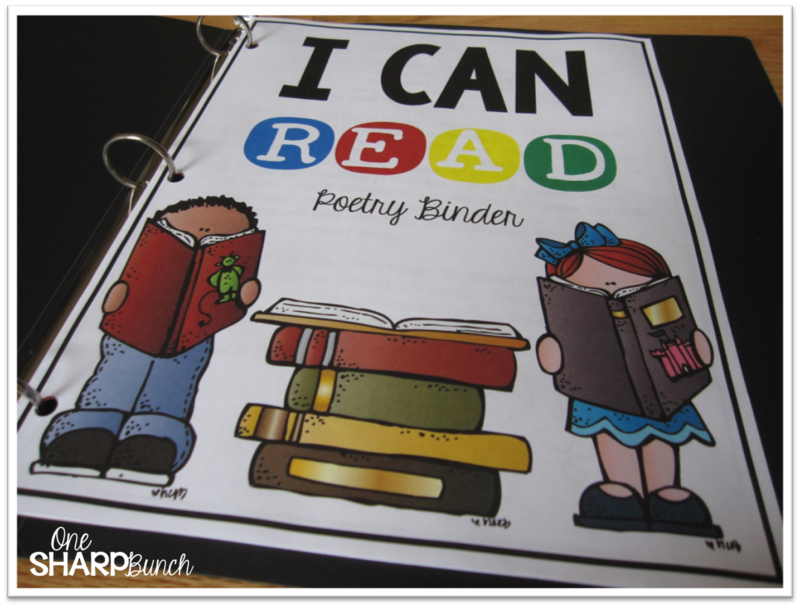 If you would like to start an “I Can Read” poetry homework binder in your class, check out my “I Can Read” poetry binder pack for August/September. It includes six poems – Here I Come, ABCDEFG, The Wheels on the Bus, Family of Shapes, Picking Apples, and Fall, Fall, Falling Leaves! All perfect for back-to-school! Click on the picture to see a preview of this pack! I went ahead and bundled this pack, so you could take advantage of the BTS sale on TpT! It’s discounted $15, while I continue adding the rest of the months! Plus, with the sale, the savings are HUGE! Love these!!!! So well put together!!! When do you start the Poetry binders?